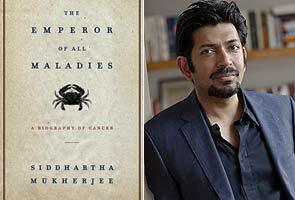 Don’t let the subtitle — ''a biography of cancer'' — deter you: This is a brilliant, riveting history of the disease that Siddhartha Mukherjee, a cancer researcher and physician, calls ''the defining plague of our generation.'' Cancer is on the rise, and though most of us will not ''slouch towards a malignant end,'' each of us will know someone who does. Mukherjee translates the blocky languages of biology and chemistry into something resembling poetry, explaining lucidly why two people with the same cancer respond differently to treatment; what role stem cells play in the illness; why certain cancers run in families. The book is crammed with fascinating characters, but two in particular stand out: Sidney Farber, the man who invented chemotherapy, and Mary Lasker, the philanthropist who backed him. Threaded throughout, and propelling the narrative forward, are the affecting tales of Mukherjee’s own patients. As much as a hypochondriac my friends tell me that I am, reading this book did scare me but at the same time it was highly informative. The book gave me goosebumps considering how unaware we are as people.. Hats off to Dr. Siddhartha for making the effort. Devoid of all the sympathy garnering incidents, the book highlights majorly on the suibject which is Cancer. The book I received was in a wonderful condition and hope to read more from the author in the future. Money well spent.